Last week I, along with some other bird enthusiasts and Audubon Society members, volunteered to watch the snowy plovers that are nesting on Siesta Key. The person who usually watches over them was taking a vacation so we were filling in. Each day one or two of us would take note of the nesting area and report back to the others. There are 4 roped off areas on the north beach. Two are at access 7, one just south of them and a fourth at Tivoli Beach which is just south of access 10. There are nests with eggs at north access 7 and Tivoli Beach, although Tivoli Beach has, it seems, everyone scratching their heads. I’ve seen a nest each day, I saw a pair of plovers one day when one was sitting on the nest. However, another person saw eggs on the east side of the roped area. Others have seen nothing. The last day I was on duty the wind was strong and the fine white sand on our beach was drifting. I noted in my journal that the nest at Tivoli was covered over by the drifting sand and the snowys were away from the area so I’ll return at a later date to check on it. It’s been very windy each day since and today it has been raining. I’ll go visit tomorrow. Meanwhile, collectively, we’ve repaired posts that were knocked down by people at the nesting sites (some posts were used for a sand sculpture) and signs that were blown over in the wind, talked to people about the birds and asked them to keep their dogs away from the nesting sites, and had 2 people arrested (they were living on the dune which was illegal but they were suspected of messing with the posts and signs surrounding the nesting sites). People have disrespected the ropes and signs and walked through the sites nearly missing one of the nests. Yesterday, my boys and I were getting in the car at our house. It was between 3pm and 3:15pm. We heard a double boom sound. The kids were slightly frightened from it, thinking a bomb had gone off somewhere in town. I had heard that sound before. While living in Myrtle Beach, we would periodically hear sonic booms from out over the ocean. Turned out the folks at Camp LeJeune were practicing flight maneuvers over the ocean. But what would cause a sonic boom or two around here? Thirteen days ago Space Shuttle Discovery took off from Florida. We’ve wanted to go to the Kennedy Space Center for a while now to catch a glimpse of the shuttle taking off. A friend of ours goes often with her 3 boys and we’ve enjoyed their stories. It’s not hard to get to; just across the state, but it requires scheduling so we’ve never made the commitment. I met up with my neighbor, Liz, the next day to walk our dogs together. She had been in the Siesta Key Village (just a ½ mile away) the night before with some friends. They happened to look up the street (heading east) and in the sky there was the space shuttle taking off. Too cool, but ugh, I wish I had known, because we could have seen it from our house. Last night as I lie awake thinking about the day, it dawned on me…the Shuttle had landed at 3:13pm. That double boom was the Shuttle entering our atmosphere. How, cool. We never got to see it take off, but we heard it upon re-entry. I spoke too soon; the white crab is dead. We hadn’t really paid attention to it for 2 days because now that we’re finished our spring break, we’re back to a full schedule of school work and projects. But we finally looked at the tank to check on him he was gone. Hmm, could he be hiding? We checked all of the shells in the tank and suddenly an arm floated up to the top of the tank from under a shell. We couldn’t find a body but found another arm. Kind of gruesome but something happened and its now dead/gone. We’ll have to head to the beach for some more critters. Perhaps we’ll change out some of the water as well. I’ve been wanting to release the urchins and the boys are getting creeped-out by the “hairy crab” which was a hitchhiker on a hermit crab we’ve since released. It has grown from pinky-fingernail size to pinky size. It moves about mysteriously and with imaginations flowing, the boys have talked about it’s escape and terrorization of the family. Nice idea for a horror flick but no where close to reality. I’ll humor them and let them release it this weekend. On Siesta Key there are 4 areas roped off as nesting or potential nesting spots. It is so important that visitors to our beach, as well as residents, heed the posted signs and stay away from the nesting sites. 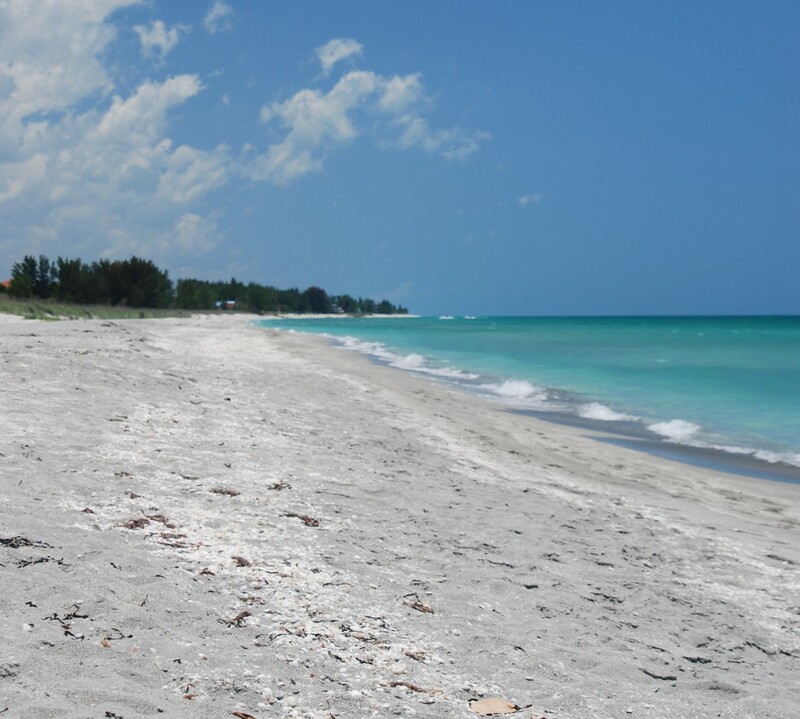 Snowy Plovers are a small shorebird the color of our Siesta Key sand. These birds do have an incomplete dark band across the breast an a slim, dark, pointed bill. They are precious to watch and scoot fairly quickly. The nest of the Snowy Plover is either a natural or scraped depression in the sand. It may have shell fragments or some vegetation inside but the nests I’ve seen are simply little scraped areas large enough for a few eggs and the bird to sit on top of. They’re very hard to locate but the trained eye can find them. You can also miss the nest with the bird sitting on top because they blend into the sand so well. This being said, you see it is important that these areas be roped off to keep people from accidentally damaging them. The 4 roped areas are north of the public beach. The northern most area has a nest with eggs, others have scrapes. Please respect these areas. One preditor of the Snowy Plover is the dog. Please don’t bring your dogs onto the beach. “What…,” (you’re now saying to yourself) “why not…others do?” Well, it is against the law and it is posted at the entrance to the beaches. Those folks with dogs either haven’t gotten caught (total disrespect for our laws) or have but just don’t care, thinking it’s more important for the dog to romp on the beach. Well, there is a fine imposed if you do get caught. Personally, I’d rather spend my money on kayak rentals for the family or dinner out. Unleashed, even little Fido is tough enough to chase after a bird, or scout around to find the eggs. Leashed…well, its still against the law. Please walk Fido and Thor on the sidewalk. *this information came from an email. I believe it originally came from Sarasota County Parks and Recreation. For more info about the nesting snowy plovers you can call Jerris Foote 941-232-6508 or leave a comment for me and I’ll get back to you with answers to your questions. The red hermit crab died. My younger, Travis, saw its body lying at the bottom of the tank. Then he saw it being pulled under a large conch shell by a little crab. It was dead and would soon be lunch. The white hermit crab, now lacking algae, looked hungry so we headed to the beach for more seaweed. He has picked up the red crab’s hitchhikers, but he also moved into a really small shell. He’s been there for a week so I guess he’s happy now he’s downsized. I know that I’m happy since we downsized, too. I have a smaller house to clean and less space to accumulate junk. I do miss the garage, though. Our snails are doing great. We picked up a really large one with a red body the day we went out for seaweed. Its in a fig shell. Last night I watched as it completely covered the tank filter with its body, sucking off algae, and scooting on. What resulted, for a short time, was that the filter couldn’t pump air into the tank as usual. Instead of the regular million tiny air bubbles coming from the filter, a periodic large bubble would find its way out of the snail’s clutch and rise to the top. It was amuzing. Later that same snail tried to escape from the tank. We have a sheet of plastic over the top and the snail had lifted the sheet and continued up the side of the tank and started going over the top. Travis found it and we guided it back into the water. The real reason the sheet of plastic is on top of the tank is to keep the water from spraying when the water bubbles break at the top. 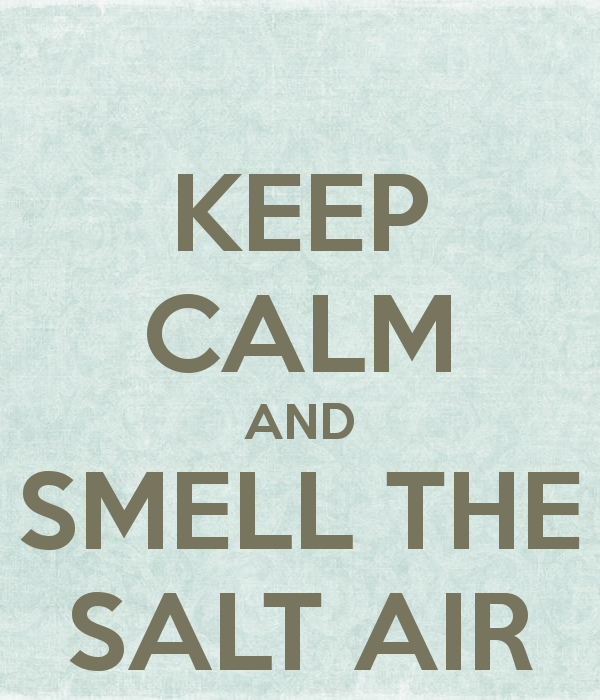 When this happens, the water sprays in all directions and when the water droplets evaporate the surface of the wall behind the tank, the table top and the floor is coated in salt. My dog even finds this distasteful.